Tony Wright with an air plant holder he created with the Glowforge printer. Photo via Tony Wright. Tony Wright is leaving Glowforge, the Seattle-based hardware startup he helped launch three years ago. The long-time Seattle-area entrepreneur teamed up with Dan Shapiro and Mark Gosselin to start Glowforge in 2014, helping the company break crowdfunding records for its innovative 3D laser printer and raise more than $30 million from investors. Wright, who was chief product officer, said he’ll continue advising the company and is unsure of his next adventure. Before co-founding Glowforge, Wright previously helped found companies like RescueTime, Jobby, and CubeDuel. 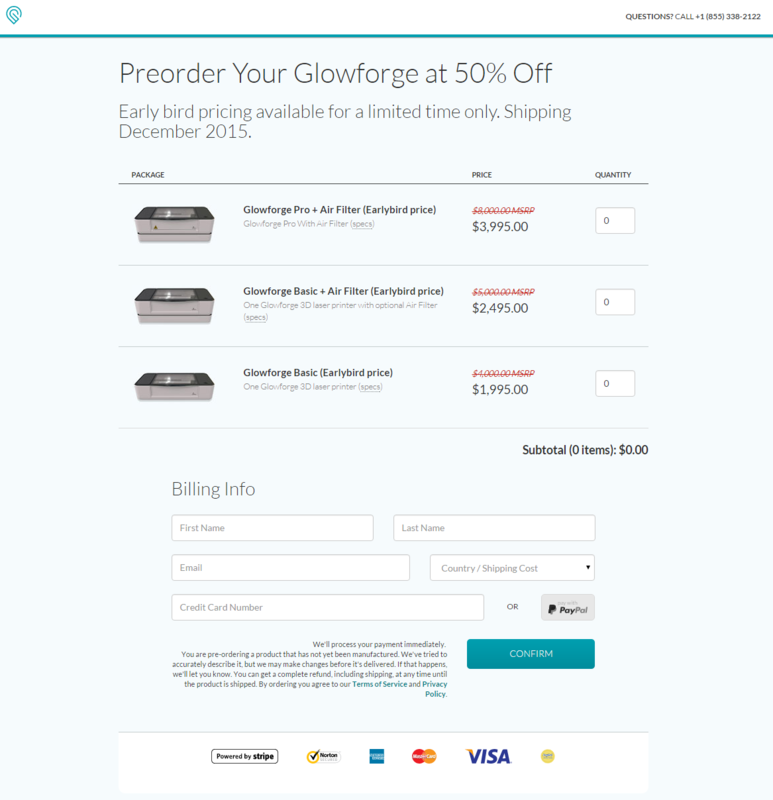 After garnering attention with its crowdfunding campaign, Glowforge has had issues delivering its printer to backers on time. The company, backed by high-profile investors like Foundry Group and True Ventures, originally planned to begin shipping the $2,995 printer to backers in December 2015, but announced initial delays the following February. More delays followed in April and again in December of last year. In the company’s latest update, Shapiro wrote that “our next milestone is to ship all of the orders placed during our 30-day crowdfunding campaign by the end of October.” All orders placed after the campaign are scheduled to be shipped by the end of November. Despite the delays, Glowforge keeps growing. The company employs 67 people, which is more than double from one year ago when Glowforge raised a $22 million round. In March it hired a new vice president of hardware engineering, Spencer Worley, who previously was an executive at Amazon and Sphero. Here’s more from Wright on his thoughts about the future of Glowforge, and some lessons learned during the past few years. GeekWire: Why do you remain a believer in the company’s success? Wright: “We sold about $28 million worth of these things when, just a month before, nobody had ever seen one. Think how amazing that is! For every person who would buy this product sight unseen two years ago, with not a single review on the internet, I think there are five or 10 who will buy it the day they can read the 5-star reviews and click a ‘Buy Now’ button on the site. Now that we’ve shipped a healthy chunk of our pre-orders and the feedback is rolling in, I’m confident we’ve built something really amazing. GeekWire: What were some of the toughest challenges you and the company faced, and what have you learned?